We supply professional on-site tuition by our qualified team of trainers on all of our solutions. We Say: "Buy this with any non-USB microphone to make it compatible with Dragon NaturallySpeaking"
Most computer desktop & laptop computers do not have 'NaturallySpeaking compatible' soundcards installed onto them. This results in poor accuracy & command recognition when using speech recognition software. To overcome this difficulty, we recommended a USB soundcard adapter. It is easy to install (plug & play with Windows XP and later) and produces a high quality audio signal resulting in superior accuracy & speed. 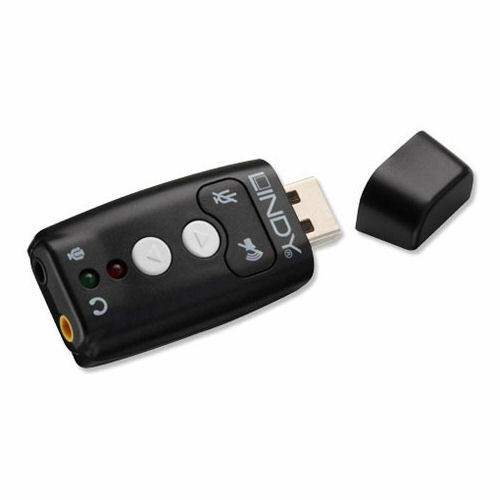 - Works with Windows XP and later operating systems without additional drivers.